Submitted by skoville on Sun, 12/22/2013 - 10:41pm. 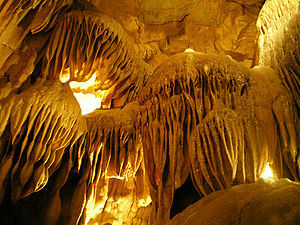 It's advisable to call ahead since many caves are seasonal or closed for one reason or another. I've tried to eliminate the Guano mines. Some are pretty rugged but check Wikipedia or the phone numbers. To learn more go to Wikipedia. These caves are really fascinating.